You may follow my blog and wonder why I say “(insert name) is autistic,” when you feel strongly it should be, “(insert name) has autism.” The second is described as being person-first language. I’ve had discussions with parents and grandparents who are strong proponents of the person-first language. I understand this. 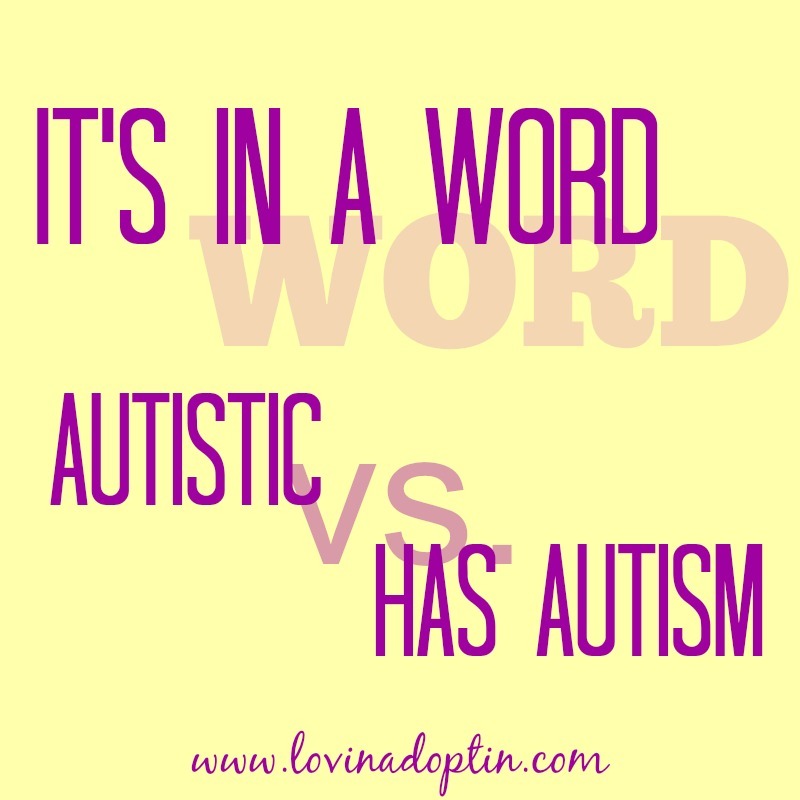 Not wanting your child or grandchild to be defined by one aspect of their personhood is admirable, but when we really consider what saying, “(insert name) is autistic” means, we can see that it’s only a part of who they are, not the whole. 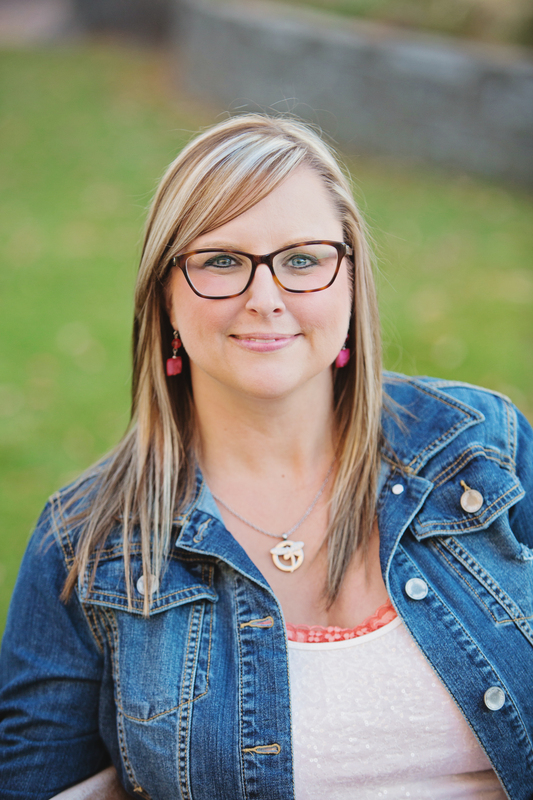 When I began this journey, I solely used the phrase “has autism,” I felt it was the respectful way to address someone on the spectrum, I felt my son shouldn’t be called autistic. I listened and was part of the discussions about person-first language. I believed saying, has autism was much more considerate than saying they were autistic. Then something changed. I started listening to the voices of autistic adults. Those adults who have been there, done that, lived with autism, dealt with onlookers, naysayers, and abuse, say they want to be called autistic and call themselves autistic. 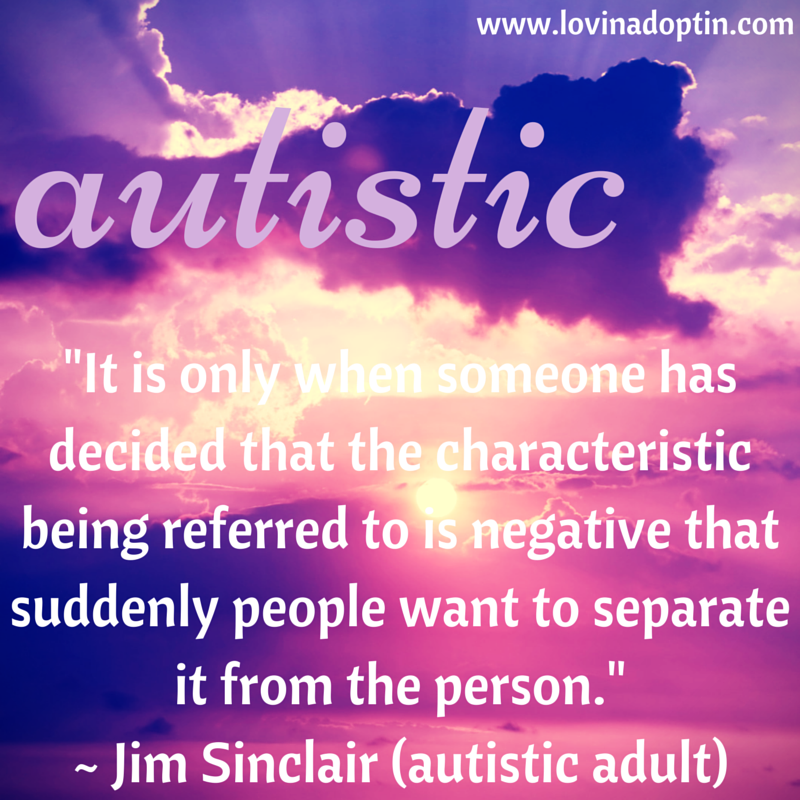 I’m not saying this is true of every autistic adult, however, there are many who’ve voiced their opinion on the word. This is what they want. I feel it’s important to look at others who’ve forged the road ahead of us. It’s especially true when we don’t have the disABILITY, but are trying to raise a child who does. So, I began to really consider what these autistic adults were saying. Why did they feel so strongly about “autistic” versus “have autism”? What was their reasoning? And, what should I do about it? About the word, autistic, that many feel grates at their ears and defines their children, Jess adds a great point. She says, “Calling a person Autistic doesn’t mean that’s all they are.” If you say someone is intelligent, don’t they also have the ability to be generous, thoughtful, or artistic? I would never say that autistic is all my son, Jeremiah, is. Absolutely not. But I can’t deny that autism is a big part of who he is. I want to say, but don’t have the ability to, that he would be very different if it wasn’t for his autism. But, I can’t know can I? I can’t know because he’s autistic. That autism makes up so much of who he is, how he functions, how he responds to me, what he does, how he feels. It’s in every part of him. And it’s not bad. It’s really beautiful. For me, I don’t stand on either autistic or has autism as being the end-all. I don’t like division in the autism community, just as I don’t like it in the adoption community. I use both references interchangeably, but find myself using autistic more often. I’m not offended when someone says my son has autism or when they refer to their child in the same way. We each have our reasoning for using certain terminology. 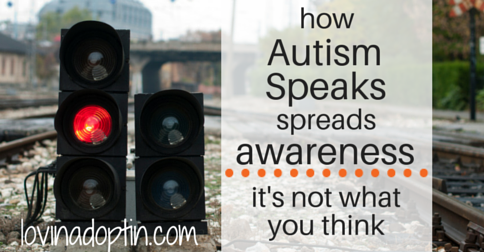 I often see that those who use the term “has autism” as those who want to take autism away from their child. There are autistic adults who balk at this, yet I know that when your child has severe needs you only want them to feel better, to not struggle in society, not be looked down upon, not battle sensory issues. We need to look at the wonderful attributes of our children no matter where they fall on the spectrum, they are humans with dignity. We need to respect each other and where we each come from, what autism we’re each living with. So what do you do? 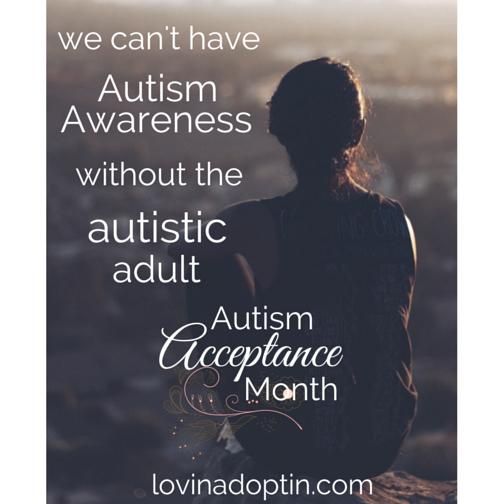 As I’ve said, each person will have their opinion of how they want to be referred to, but many adults prefer the term “autistic.” Many parents and grandparents prefer you say their child “has autism.” I would recommend going with what you’re comfortable with or what the person living with autism has requested. This post is only meant to share with you why I use the terminology I do, so I can refer others here when I don’t have a short answer. It’s also meant to educate and share a wider view, one that comes from those who’ve walked our child’s path already. The quotes from Jess were taken from her post Person First on A Diary of a Mom, which I recommend reading in it’s full context. 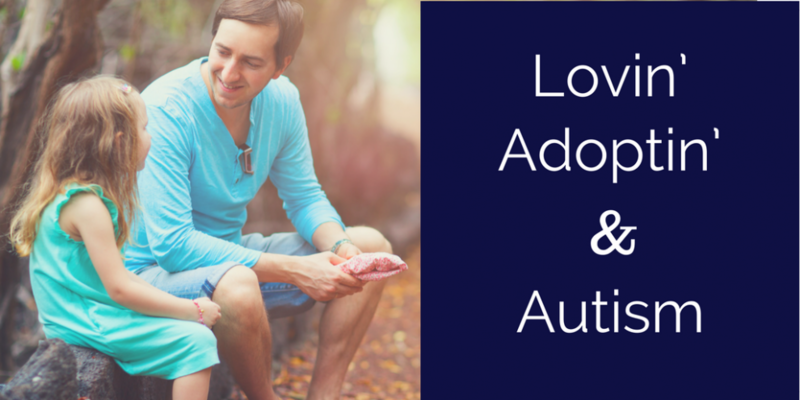 *Please see the CONTENTS page for links to more posts on autism, adoption, and foster care.